These are 2G-based phones which features a 1.4-inch color display, stores upto 2,000 contacts, offers FM radio and this is my favourite, claims up to 35 days of standby time (it also has a replaceable battery). It just weights around 70g and also has a micro USB port for charging. They even provide a Dual SIM version. They support up to 15-hours talk time. If you want to pass your time then you can also play the preinstalled games like Snake Xenzia and Bubble Bash 2. 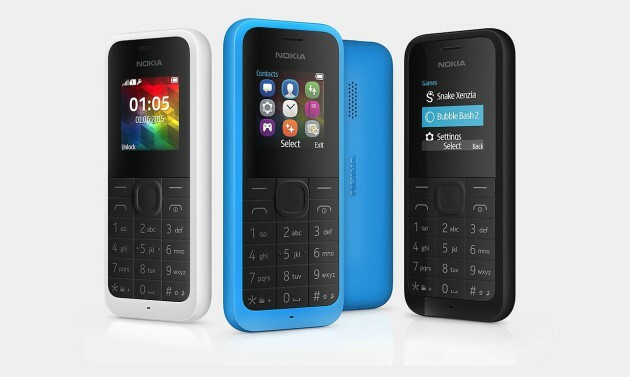 The new Nokia 105 and Nokia 105 Dual SIM will retail globally starting in June (in select markets). I’ll surely buy this phone for backup. I always wanted a phone with smart battery, not a smartphone with a battery. Do let us know your views about these two entry-level Microsoft phones in the comments below. Will you buy one if it is available in your area?